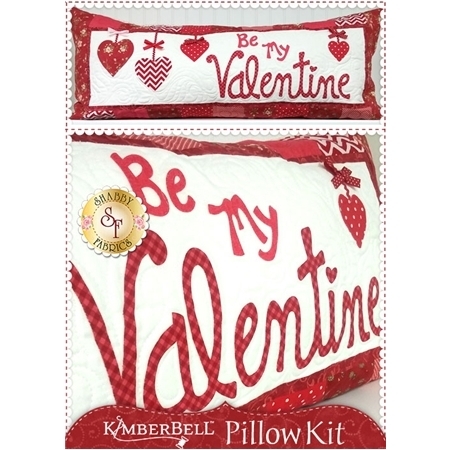 The adorable Valentine themed interchangeable pillow cover by Kimberbell Designs is perfect for February! Finished size is approximately 16" x 38". 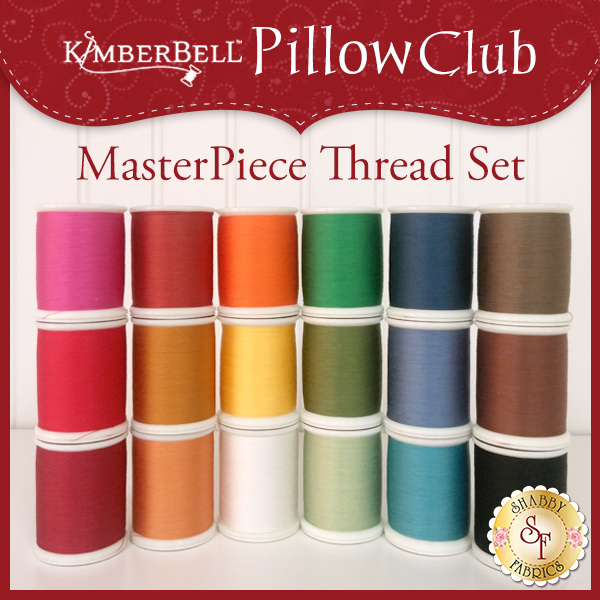 Kit includes the pattern, all fabrics, embellishments and laser-cut applique pieces. 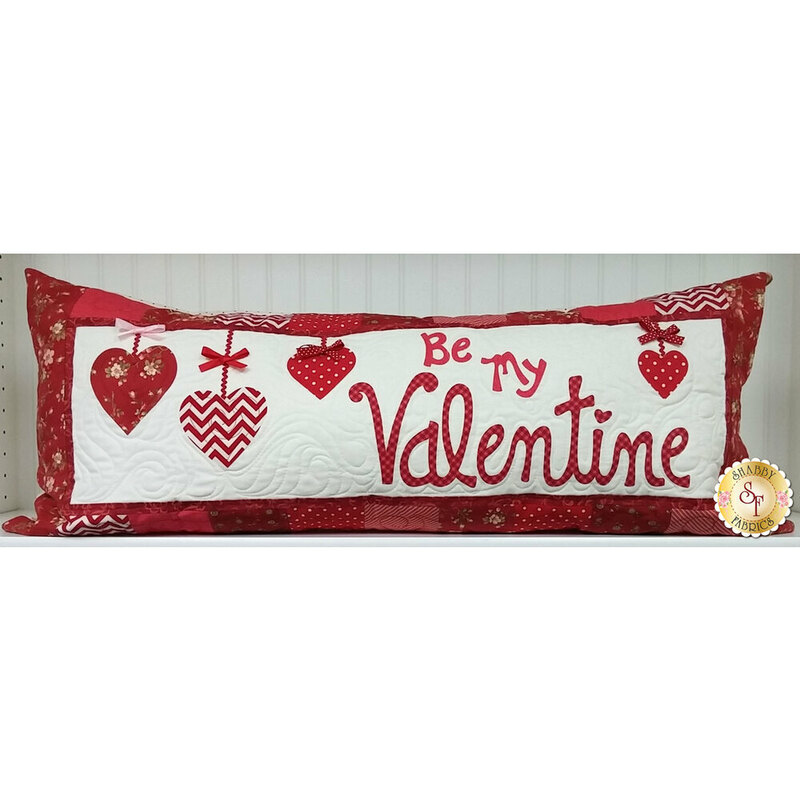 The pillow form is not included, however, there are instructions in the pattern for creating it.